Are All on 4 Implants in Downtown Los Angeles Right for Me? Over the last several decades, new advancements in dentistry have made it possible to preserve natural teeth for longer than before. Despite these improvements, the American College of Prosthodontists estimates that 36 million Americans are living with complete tooth loss. 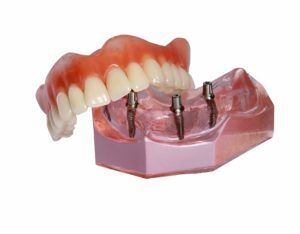 To restore their smiles, the convenient solution often involves traditional dentures; however, more people are now choosing a new option. With All on 4 implants in Downtown Los Angeles, you can regain the next best thing to your real teeth. Comments Off on Are All on 4 Implants in Downtown Los Angeles Right for Me?